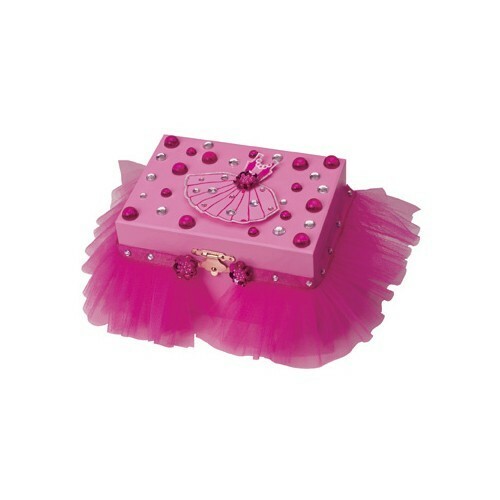 Girls will love decorating this beautiful musical box with pink tutu, sparkling jewels, shimmering glitter, colorful gems and more. 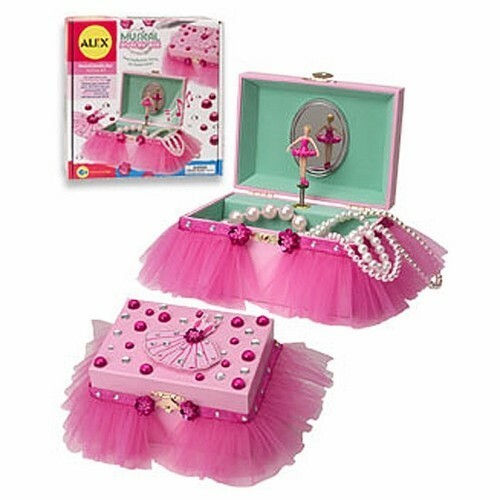 Decorate Musical Jewelry Box Girls Craft is an enchanting craft set by Alex Toys! 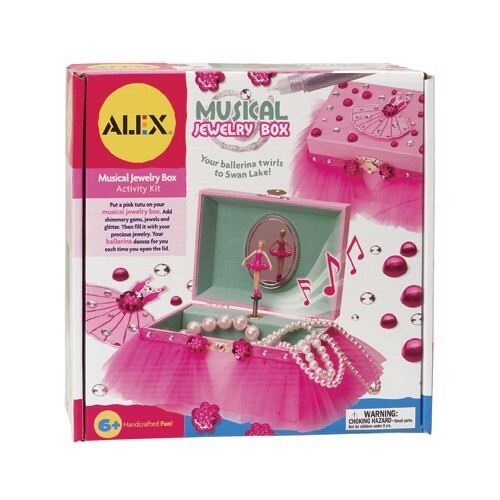 Girls will love decorating this beautiful musical box with pink tutu, sparkling jewels, shimmering glitter, colorful gems and more. 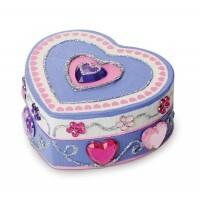 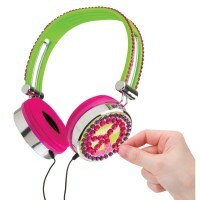 Magic begins when you open the lid of your newly decorated musical jewelry box! 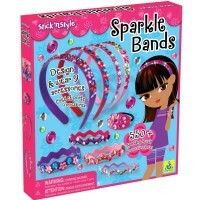 Adorable little ballerina will dance to Tchaikovsky's Swan Lake again and again. 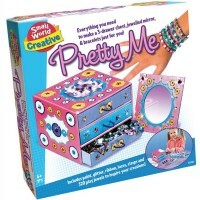 This Decorate Musical Jewelry Box Girls Craft from Educational Toys Planet includes all ingredients to make this decorative art project fun. 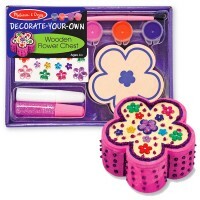 Add your imagination and read the instructions, and this box will become a real jewel of your room dcor. 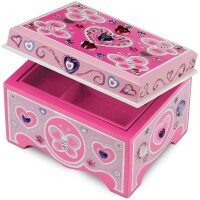 And, of course, you can store your precious jewelry or keepsakes inside the perfect musical jewelry box. 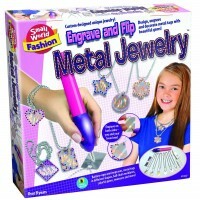 Oppenheim Toy Portfolio Platinum Award. 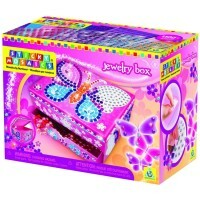 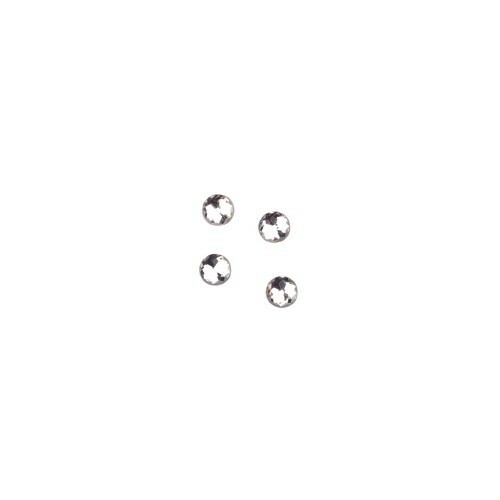 Dimensions of package 3.75" x 8.5" x 8.5"
Write your own review of Decorate Musical Jewelry Box Girls Craft.